The ‘Call it Out’ program is designed to empower all employees to ‘call out’ negative behaviours and role model respectful behaviours in the workplace. This service equips employees with the awareness and skills required as a bystander to eliminate workplace bullying, sexual harassment and discrimination, and helps to build a culture that does not accept or tolerate these behaviours. It includes a half-day training module that incorporates video scenarios and role plays to engage participants and achieve learning outcomes. 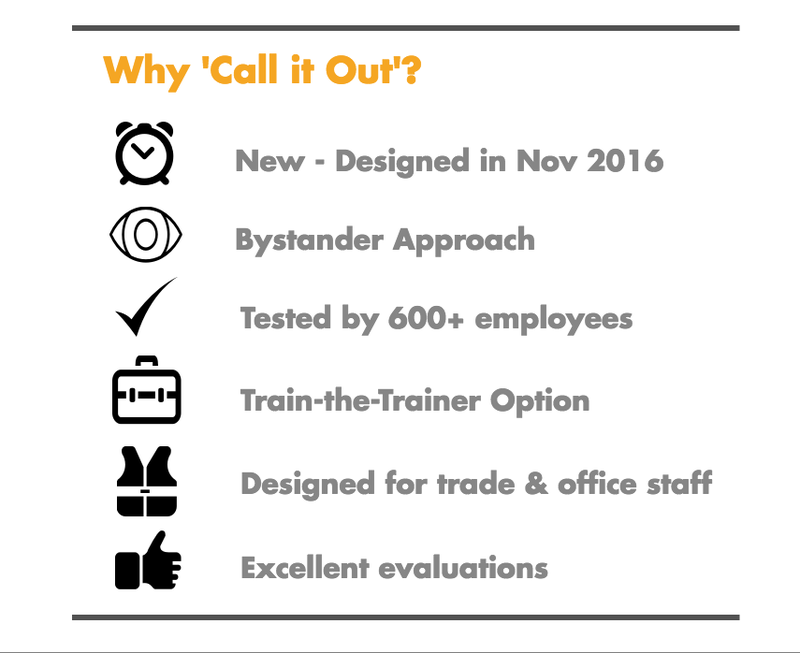 The training can be supported by a ‘Call It Out’ Communications Strategy, including a video and communications plan tailored to your organisation. To ensure that all employees can participate and make the program sustainable, Diversity Inclusion also offers a Train-the-Trainer service. download the Call it out service brochure.